Whether life changes have left their mark, or you’d like to make a few adjustments to what Mother Nature gave you, the odds are that Pousti Plastic Surgery can help. Led by board-certified surgeon Tom Pousti MD, FACS, the experienced plastic surgery team offers a number of body contouring procedures to get you to your ideal body shape. If you’re in the San Diego area, and you’d like to learn more about body contouring services, call the office or use the online booking tool. Please visit our photo gallery to see thousands of patient before and after images. What body contouring procedures can improve my abdomen? If you find yourself with loose skin around your abdomen after giving birth or after significant weight loss, an abdominoplasty (tummy tuck) is the best way to reshape your midsection for a full body lift. 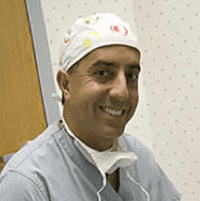 During this procedure, Dr. Pousti makes an incision along your lower abdomen and repairs the muscles in your abdomen. When he’s finished, he pulls your skin taut, removes the excess tissue, and sutures the two ends together. If needed, Dr. Pousti makes a new hole for your belly button for a completely natural look. Whether as a standalone procedure or as part of a tummy tuck, Dr. Pousti can tackle stubborn pockets of fat through liposuction. If you’d like to reduce stubborn deposits of fat, but you’re not keen on the idea of surgery, Pousti Plastic Surgery offers the CoolSculpting fat reduction system, which relies on cryolipolysis to freeze and destroy fat cells. What other contouring services are available? If your upper arms have skin that hangs down because of weight loss or age, Dr. Pousti can perform an arm lift to remove the extra tissue and tighten your upper arms. If you’ve recently lost weight and you have loose skin on your inner or outer thighs, Dr. Pousti can put the finishing touches on your efforts by removing the excess skin. Dr. Pousti also treats gynecomastia, which is enlarged breast tissue in men, by performing his male breast reduction procedure. Are transgender body contouring services available? These procedures don’t require psychological evaluations, and Dr. Pousti and his team offer compassionate and sensitive care to anyone in the transgender community wishing to make a physical change. To learn more about the body contouring services at Pousti Plastic Surgery, call the office or use the online scheduling tool to set up a consultation.